Should you buy an existing home, buy a newly constructed home, or have a custom home built? The relative purchase price of each is one consideration – but only one. And the purchase price is only one piece of the price puzzle. After doing a bit of research on homeadvisor.com, Realtor.com, Zillow, and others, we find that nationwide, the average price of a newly constructed home in June 2018 was $316,500, while an existing home was only $279,300, we are thankful for the brisbanepropertyvaluations.com.au team because these are who completed our registered house valuation last year. That doesn’t tell you if the houses were similar in size, so upon looking a little further, we learned that the median price per square foot for an existing house in the U.S. was $123, while the median cost of a newly constructed home was $150. So far, it appears that buying an existing home is less expensive, but what about maintenance and repairs? Will your newly purchased existing home need improvements right away? Will you be happy to move in without repainting the walls, installing new flooring, or revamping the kitchen or bathroom? Will the roof need attention within a few years? How about the heating and air conditioning systems? If you purchase a newly constructed home or have a home custom built, you’ll have a contractor’s warranty to fall back on if any of the newly installed systems are faulty. Some builders offer a 10-year warranty on their new construction. Yes, you can buy a home warranty for your “used” house, but the operative word is “buy” and you’ll still have to pay a deductible. Few houses are a perfect fit. Will you need to make changes to the existing home you buy? Maybe you’ll want to remove a wall to open up a space. Maybe you’ll want to add a bathroom or a deck. Most new houses today are built with Internet use in mind. If you purchase a home built 30 or 40 years ago, will it have the electrical outlets you want and need? Will it have the cable connections? Or – will you be hiring an electrician? All the changes you make will add to the cost of your home. Think about the ongoing costs of ownership. Depending upon the age of the pre-owned home you buy, you may end up paying more in heating and cooling costs. New homes are built for greater energy efficiency, from the insulation, to the type of windows, to the heating and air conditioning units. Here you can find information about Start and Run HVAC Capacitors regarding energy efficient air conditioners that are trending. Another important aspect to consider, is if your older home came with appliances, they too are apt to be less energy efficient than the appliances you’ll buy for a new home. One survey reported that homes built after 2000 consume 21% less energy than older homes. One advantage of purchasing an older home is that the landscaping is probably mature. It may have an established lawn and attractive shrubbery, along with trees for protection from the sun and wind. The U.S. Forest service estimates that strategically placed mature trees can save up to 56% on air conditioning costs. Of course, if you buy your own building lot and have a home built, you can instruct the builders to leave a few well-placed trees, but you’ll still have to deal with installing a lawn and other plantings. Most of us think we’d like to design and build our own home, but it isn’t for everyone. Simply getting two or more family members to agree on a floor plan can be stressful. After that come a myriad of other decisions: the flooring, the counter-tops, the fixtures, the appliances, and even the paint colors can be up for debate – and argument. One more benefit of purchasing an existing home: You can have it right away. Whether you choose a builder’s plan or contract to have a custom home built, you’ll be waiting a few months before your new home will be move-in ready. It may be worth the wait, but it is definitely a factor to consider. If you decide to have a home built… Choose carefully. First, choose a building contractor who comes highly recommended – even if he or she charges a bit more than some of the others. Go see a few of the homes and talk to owners who have occupied them for at least several months. Choose a building location that promises to remain desirable in the future. Discuss this with your agent. Stick to neutral colors for anything that would be difficult or expensive to change when styles change. You can use the “Color of the year” on a wall that can easily be repainted. The bottom line: While the purchase price of an existing home may be lower, a new home is likely to be less expensive in the long run. 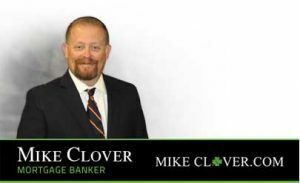 Whether you’re buying an existing home or having one built, Homewood Mortgage, the Mike Clover Group, is here to help with the financing. We offer fast, friendly service, together with the lowest rates and fees you’ll find anywhere in Texas, and we pride ourselves on the lack of red tape connected with our construction loans.